Your company's email server is a vital hub for productivity - and also an appealing attack surface for malware, phishing scams and spam. As cybercriminals' methods become increasingly sophisticated, safeguarding your mail server becomes a crucial component to your companywide security posture. Using the adaptive ThreatSense® scanning engine to identify both familiar and emerging threats, your ESET security solution shields your data from trojans, viruses, worms, adware and spyware - while keeping your company inboxes free of unwanted email. By scanning email traffic and mail store, ESET Mail Security for Microsoft Exchange hardens your email server to malicious attack. The ThreatSense scanning core uses multithread processing to allow efficient concurrent scanning of email messages. Advanced heuristics uses layers of technology to identify a threat even if it doesn't appear in the signature database. 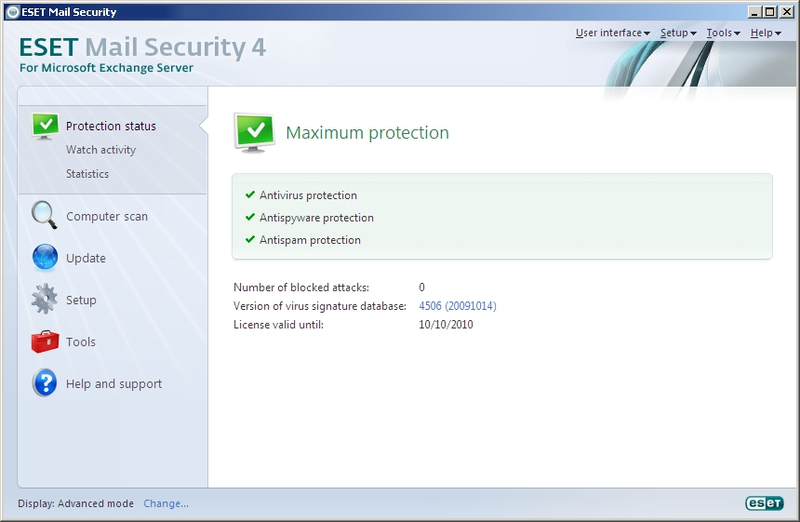 Scanner operates at two levels: VSAPI (Microsoft's Virus Scan Application Program Interface) and at the SMTP server level, scanning all email traffic to guarantee maximum security. The award-winning ThreatSense technology embedded in the scanning engine provides industry-leading protection of your company's email traffic. Stops spam and phishing messages with high interception rates. Discreet processes (RBL, DNSBL, fingerprinting, reputation checking, content analysis, Bayesian filtering and manual whitelisting and blacklisting) ensures total email threat protection, configurable for either global rules or specific mailboxes. Enables administrators to create custom rules to define types and sizes of files the scanner allows to enter or leave the network. This solution is compatible with MS Exchange versions 5.5 to 2010 and suitable to run in a cluster environment, as well as in specific server roles (Mailbox, Edge and Hub). 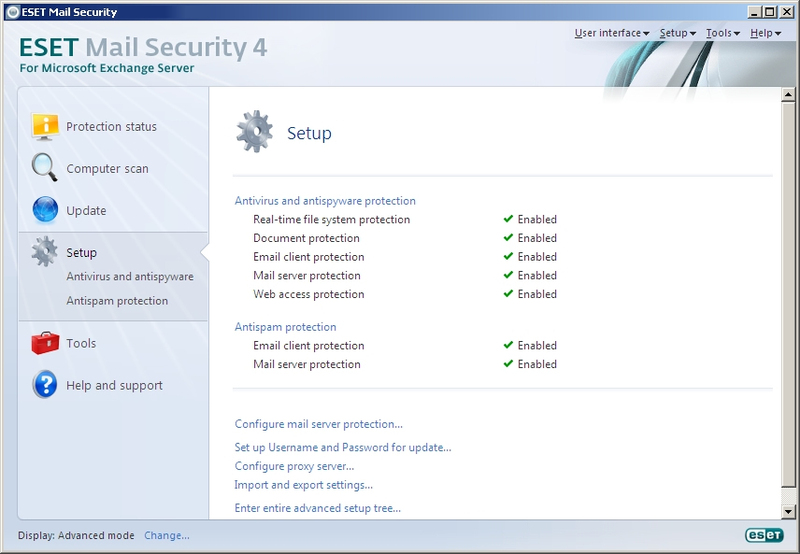 ESET Mail Security for Microsoft Exchange Server is compatible with ESET Remote Administrator 4, making administration of multiple ESET products in the networked multiplatform environment a breeze. 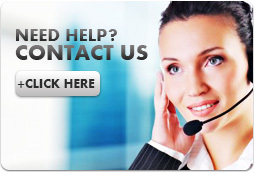 Provides smooth and trouble-free operation of your email servers. Enables creating separate Quarantine configurations for individual mailboxes. Real-time monitoring of the server's performance. 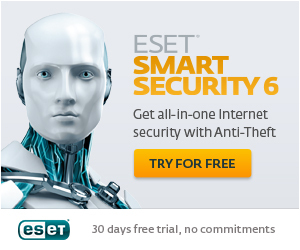 ESET Remote Administrator makes owning ESET security software products a significantly lower cost proposition. From a single ESET Remote Administrator Console, your IT administrator can quickly scan endpoints, adjust client configurations, respond to security events, update signature databases, generate reports, install and manage ESET solutions across clients and servers running Windows, Mac and Linux platforms. 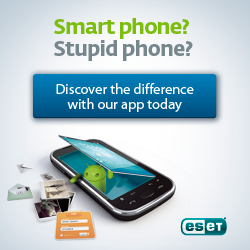 ESET Remote Administrator comes as part of the standard Business Edition of ESET solution. This product can optionally be remotely managed or updated from a local network (instead of the Internet) using the ESET Remote Administrator.